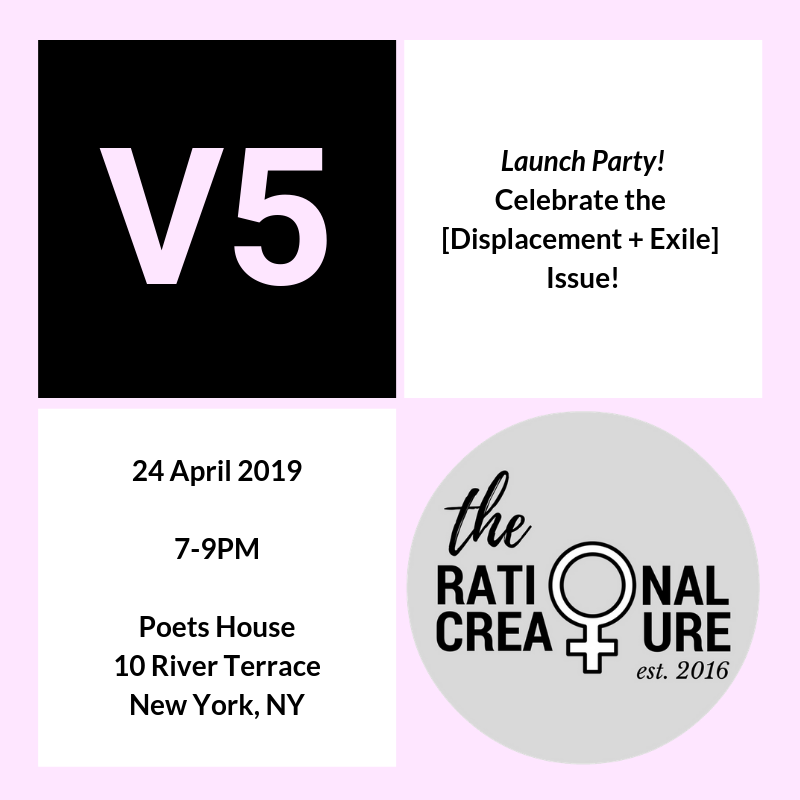 Join The Rational Creature to celebrate the launch of Volume 5, the Displacement + Exile Issue! There will be refreshments, readings, and copies of the journal available. ABOUT THE RATIONAL CREATURE: The Rational Creature is a femme arts journal dedicated to promoting the creative work of women and non-binary individuals who are influenced by ideas surrounding gender in their art and writing. We published bi-annual print publications and operate a blog online. More is available at therationalcreature.com and @therationalcreature on Instagram. ABOUT VOLUME 5: In light of the current immigration and refugee crisis around the world, we are taking a look at how gender works with culture and identity to make a person feel dislocated from a place, a society, or themself. 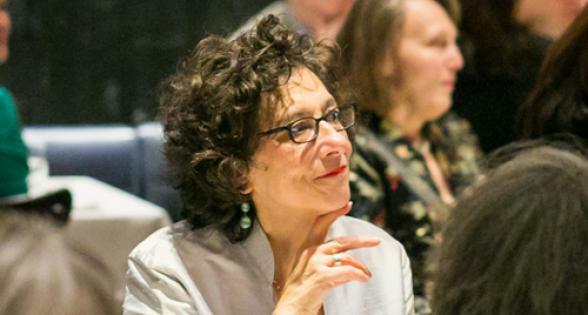 How can our genders and identities displace us and how do we respond?